Ocean_Blue_Translucent_Envelopes__Paper is rated 5.0 out of 5 by 1. Ocean Blue Envelopes have that aura of relaxed beauty that goes well with elegant gatherings or breezy beach weddings. Made out of natural vellum paper, these envelopes have a soft see-through characteristic, giving the content of your envelope a gentle blue overlay. It makes your invite look like its swimming in the beautiful ocean blue! Classy, elegant, stylish, and handsome, you'll certainly love to grab some of these envelopes! Matching 8 1/2 x 11 43lb and 12 1/2 x 18 43lb Ocean Blue Translucent cardstock is available. This way you can sail the ocean blue not just one time but two! (Dr. Seuss anyone?). 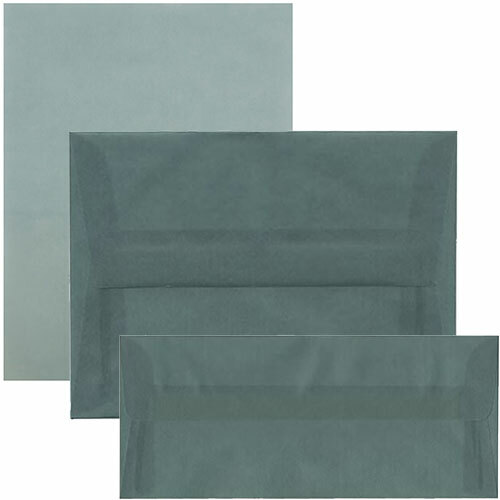 Ocean Blue Translucent Envelopes are acid free, recyclable, and made from pure cellulose fibers.